In 1813, President James Madison occupied the White House, Americans occupied Fort George in Canada (a result of the War of 1812) and a rockfish was born somewhere in the North Pacific. Two hundred years later, that same rockfish was caught off the coast of Alaska by Seattle resident Henry Liebman — possibly setting a record for the oldest rockfish ever landed. 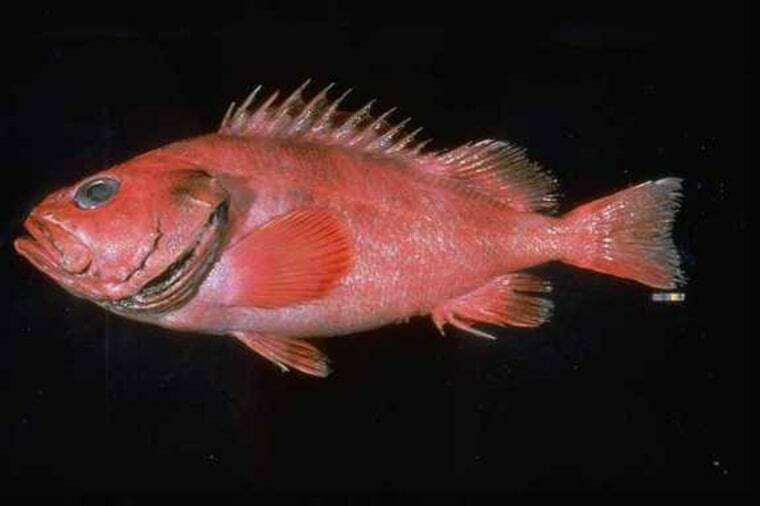 Troy Tydingco of the Alaska Department of Fish and Game told the Daily Sitka Sentinel that the longevity record for the shortraker rockfish (Sebastes borealis) is 175 years, but that fish "was quite a bit smaller than the one Henry caught." "That fish was 32-and-a-half inches (83 centimeters) long, where Henry's was almost 41 inches (104 centimeters) — so his could be substantially older," Tydingco said. Samples of the rockfish have been sent to a lab in Juneau, where the actual age of Liebman's fish will be determined, according to the Sentinel. Scientists can estimate the age of a fish by examining an ear bone known as the otolith, which contains growth rings similar to the annual age rings found in a tree trunk. Animal longevity remains a puzzle to biologists. Some researchers have found that smaller individuals within a species tend to live longer than their bigger brethren. This may be due to the abnormal cell growth that accompanies both larger body size and the risk of cancer. The longest-lived animal ever found was a quahog clam scooped from the waters off Iceland. The tiny mollusk was estimated to be 400 years old. At 39.08 pounds (17.73 kilograms), Liebman's fish may also set a record for the largest rockfish ever caught. "I knew it was abnormally big, (but I) didn't know it was a record until on the way back — we looked in the Alaska guidebook that was on the boat," Liebman told the Sentinel. He plans to have the fish mounted, so he can continue to tell the fish story that he's already been "getting a lot of mileage" out of, according to the Sentinel. Follow Marc Lallanilla on Twitter and Google+. Follow us @livescience, Facebook and Google+. Original article on LiveScience.com.